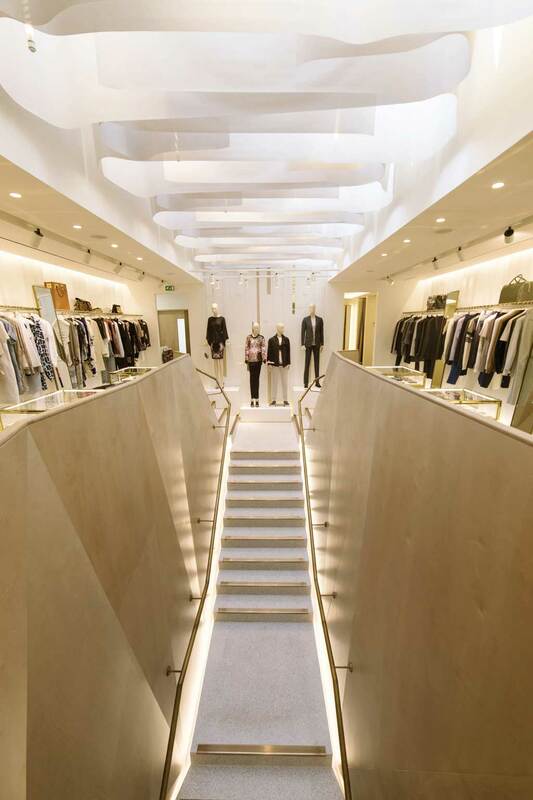 MATCHESFASHION.COM, the modern luxury fashion retailer, has opened its doors to a new flagship store in Wimbledon Village, London. The space consists of two retail floors covering 320m². 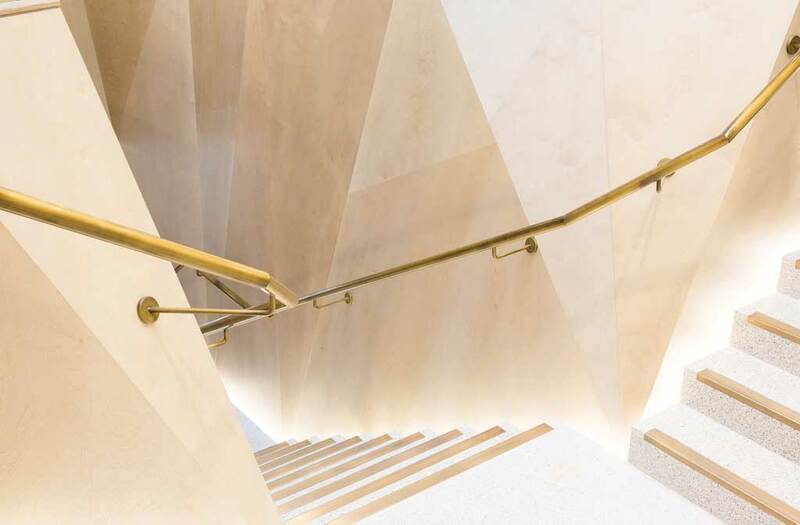 At the heart of PNLD’s retail lighting scheme is a combination of design and architecture that delivers an atmosphere of high quality and elegance, appropriate for a luxury retail brand. 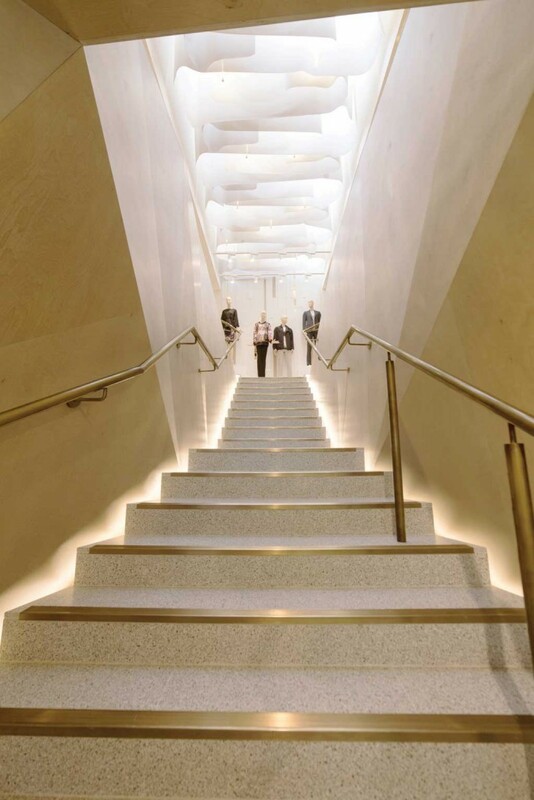 The architectural lighting design solution balances specific views of merchandise across the store with accents of architecture to aid orientation. 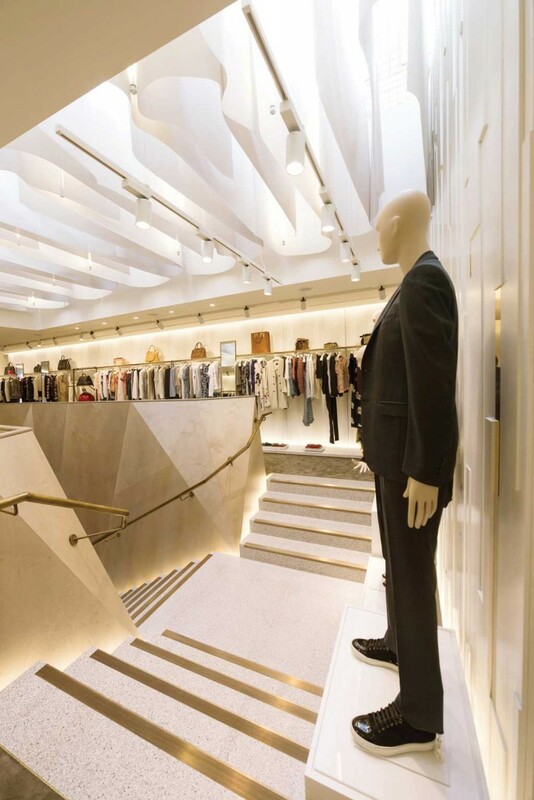 PNLD used innovative and intricate detailing such as low-level cove lighting behind hanging rails, soft ambient lighting in the fitting rooms, high-level cove lighting to reinforce the undulating nature of the faceted walls, and low-level uplighting around the staircase; the eye is drawn up the stairs towards the striking seven metre-long skylight with daylight attenuation in the form of an organic drape combined with linear pendant luminaires, designed by PNLD. 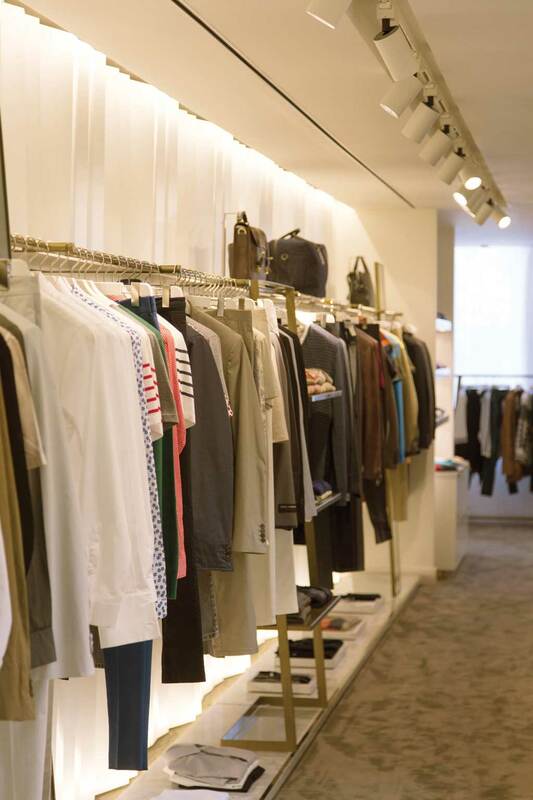 Standout items are illuminated subtly, yet brightly, drawing the eye towards the merchandise.